Here at Hendrickson Tree Care, we specialize in Caring for the Urban Forest. We understand the importance of your tree and the role it plays. By caring for your trees you are doing your part in caring for the urban forest. From pruning to removals and general overall plant health care, we have a team of industrial athletes to maintain and care for your commercial, residential and city trees. We work with individuals, lawn and landscape companies, city foresters, property managers, corporate project managers, etc. By understanding your desires and budget, we can work within those confines to save you money ensuring your trees are healthy and beautiful. We understand that trees are either assets or liabilities. It’s our job to take that stress off of you and just let you sit back, relax and enjoy the beauty of our “Urban Forest”. 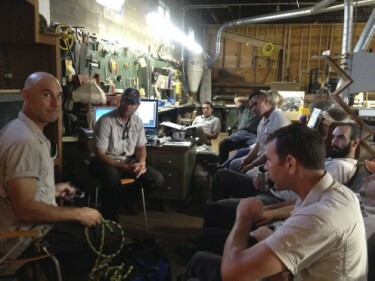 We hold weekly safety and education meetings so our crew has a venue to discuss the activities of the day, give each other feedback and receive the latest news in arboriculture. All our staff are offered opportunities to earn a variety of certifications in our field. On inclement weather days, our crew furthers their knowledge with our library of educational materials, books and videos to watch in our shop. HTC sponsors events such as aerial rescue days and goes the extra step to send the entire crew to the TCIA Exposition– the worlds largest tree expo– every year. On-the-job learning opportunities are many and include: a detailed education and working knowledge of power tools, trucks, heavy equipment and more. We work in an industry that constantly updates tools and practices and we strive to continually keep abreast of those standards. To learn more of what we do, click here. Our mission at Hendrickson Tree Care Company is to bring creativity and excellence to the field of arboriculture. By working with residential and commercial clients we enhance the beauty and health of trees, for all of society. Our Vision at Hendrickson Tree Care Company is to provide world class care in the field of arboriculture. We do this through innovation and continual growth in our professional knowledge and we will continue to develop a company culture that embraces our core values, along with a passionate workforce that delivers ongoing value in a safe and efficient manner.